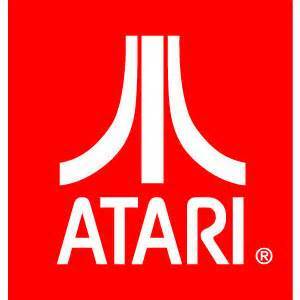 Atari is a video console gaming system that was released in 1977. This system lasted until the 80s when it started to wane in popularity. The reason for the downfall is widely regarded (and often disputed) as the open platform that allowed many game developers to make games for the Atari system. Many of these games have been regarded as some of the worst video games of all time. 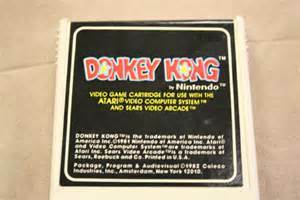 Other games have withstood the test of time and are still widely recognized. Icons have come from the Atari. Pacman and Donkey Kong are still recognized by children 30 years later. Look at he new Adam Sandler and Peter Dinklage movie, Pixels coming out later this summer. It is Pacman and Donkey Kong on the attack. A couple of weeks ago I picked up an Atari at a garage sale. There were about 20 games with it and had both the controllers and paddles. WOW, I played all of the games and it did not take long to get a cramp in my left thumb. How did we play this with such slow controls? I know, I know, we are spoiled with the controls and response times of today, but wow the controls were slow to respond. Many of the games I remembered, and remembered very fondly. Some of them reminded me why I got tired of the Atari. Now, to give Atari full credit, the Atari was really before my time. My family got one in the 80's and I remember playing it even after the Nintendo came out. So to be fair, I was a Nintendo kid due to my age. Some of the best Atari games are still great, some of the lesser games are that way for a reason. I mean UGG, really? In this box I found a game called Fast Food and the whole point of the game was to eat as much Fast Food as you can. If you eat too many of the purple beans, you burp and lose a life. Really? This was a concept for a video game? LOLOLOL To be honest, it is one of the better games that were in the box I bought. Too funny. Some Say ET was a terrible game and while I think it was HORRENDOUS I do not think it was the worst. In this collection from the garage sale, I have games that I have never heard of and Great Scot, they are beyond terrible. UGGG! I did get some oldies and goodies, Pacman, Donkey Kong, Frogger, Space Invaders and my favorite, Combat. I tried to play Combat again and almost peed my pants I was laughing so hard. After playing some of these games I see why Atari went under. I really do. That being said, they did give us the foundation for greatness. Without Atari and their failure, other gaming companies would not have learned from the mistakes of Atari. New console companies made it so that no GAWD AWFUL games are licensed to play on their systems. The competition for licensing would not be there in the game developers if the Atari issue did not fail so spectacularly. The game creators do not try to get the most number of games out with sub par quality any more. The games have to have something good about them or Nintendo, Playstation or Xbox would not allow them to be on their systems. Gone are the days of ET and the shoddy concept. Now you bring in the Diablo, Halo, and Grand Theft Auto generation of development. All in all, I think this was a good and entertaining $20.00 investment.